Geofencing, the much talked about, hyper local advertising tool that’s proven to be quite a highly effective way to target customers. You’ve heard about how geofencing can help businesses reach the right people, but is your business right for geofencing? Here’s how to find out. 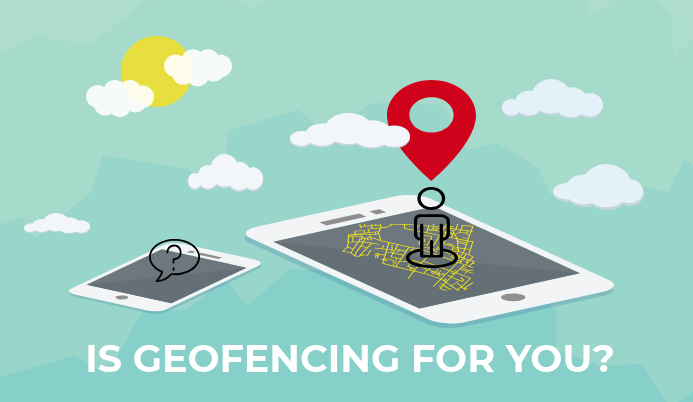 Take the test and find out if geofencing is right for your business. If you answer yes to the 3 questions below, then geofencing is the way to go! If your business caters to local customers, as opposed to customers from all over the nation/world, then geofencing your ad campaign is what you will want to do so that you reach only the right customers in a specific area. Your business is B2C not B2B. Once you set your geofence at a location and launch your ad campaign, it will target any user within that geofence. If your business is only looking to target other businesses or a select set of users at that location, you will end up wasting a large percent of your ad spend. You have a good online presence. Geofenced mobile campaigns will put your business in front of your users in the form of a banner ad. But as exciting as you think your ad is, users are going to first click to learn a bit more about your business before purchasing. So it’s essential that you have a good website or Facebook profile page giving users what they are looking for. Did you answer yes to all 3? Start geofencing now at just $100 per location!